Hello everyone, this is my first guide that I am writing so bear with me if it’s not the fanciest or most detailed. Starting off with Race choice: I personally chose a Halfling, but that is the wrong choice!! When I made my GWF, I made him to be like the character of which I was going to name him, DON’T do that. For PVE, I will recommend you choose a Half-Orc, Human, or Drow. I would personally choose the Half Orc race. These are the stats I rolled, and it has done me lots of good. What I have done is I have found a Balance in my offensive and defensive stats. This isn’t the best roll for max dps though. If I wasn’t lazy and recreated a GWF, I would pick a half orc and have more Str. Dex and Con I would try to balance out. You want Str because it increases your damage%. Con for ignoring armor + more HP, and Dex for more crit. The logic here is, the more you can stay in the fight, the more you can put out dps, and the more you put out, the higher you will be on the dps charts. So, the more Str, the more damage. The more Con, the more hp, and the less armor penetration you have to build. Main stat you want is Power. Power above all else. You can build more armor penetration and have it reach the minimal you need (which is 24%), but you will have to cut off some power, which i didn’t do. Remember how I said Con gives armor ignore?, Well, with 19(20 with camp), I have 10% ignored already. With my 1k armor penetration, I’m given another 8 or 9% ignored. That’s only 19%, but I have a feat which gives me 5%, so my armor resist reaches the 24% minimal, and that’s all I need and want. Recovery is meh, I don’t care for it much. Lets move on to Defensive stats. I slot Azure for all my defensive enchants. Because you want Defense as well as offense! With my Stone’s stats, my defense will also be higher, I have 40% damage resist, which is good enough with all the offensive stat I have. The minimal amount of HP that you should aim for is around 25k. Don’t focus too much on it for PVE, though the more the merrier. 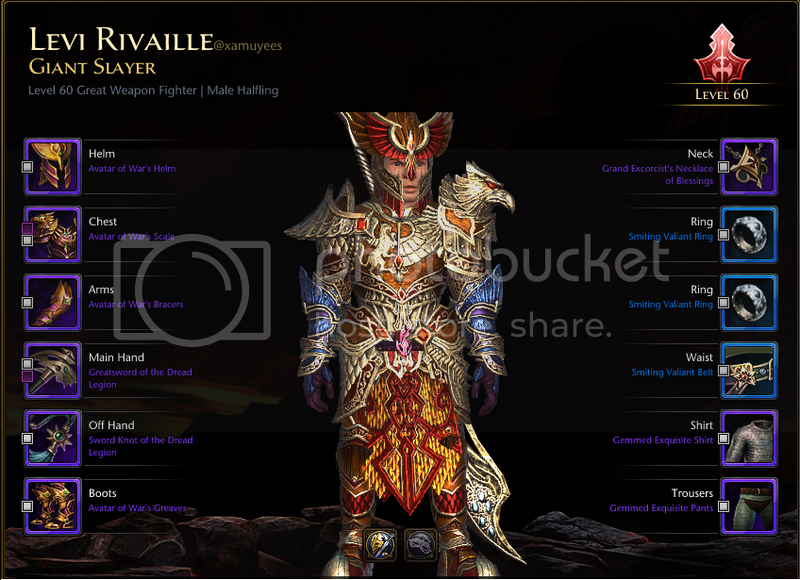 Avatar Set: This is the best pve set available ingame as of today. Get all 4 pieces and you’ll be alright with armor. Weapons: I am using the weapon that drops from the Dungeon Delve Chest in Valindra’s Tower. Get this weapon while you work on getting the Fomorian Weapon set. 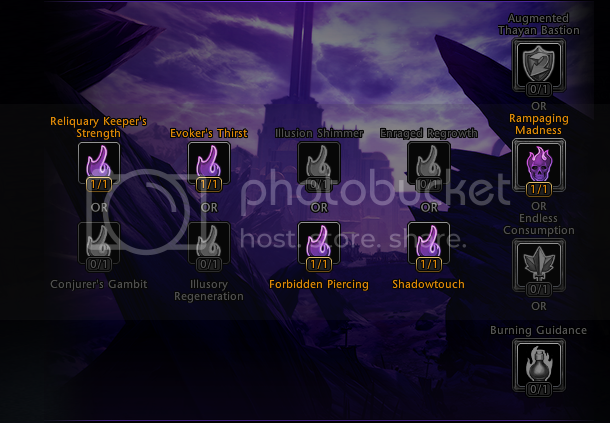 Do not get the Fallen Dragon set unless you’re a collector. Accessories: My neck gives power, crit, and armor pen, great neck to have. I use blue rings and belt, which focuses on Power and defense. (highest power stat rings and belt as of now.) Get the shirt and pants, not the other type! I don’t know what it’s called right now, but you should see the difference. These two are better for more dps. 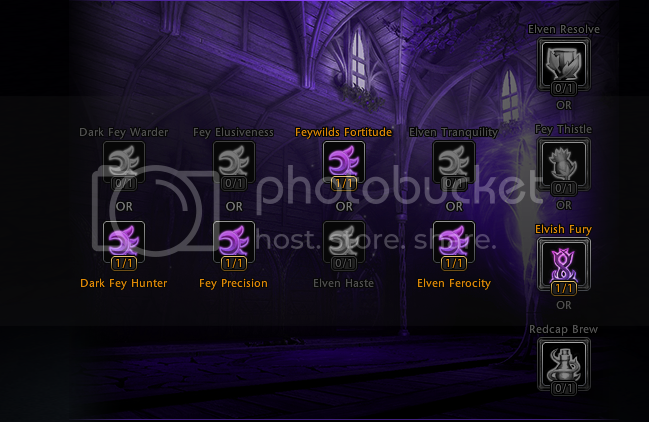 Enchants: Once you’re far enough, you will want radiants on every offensive slot. Azures on every defensive. 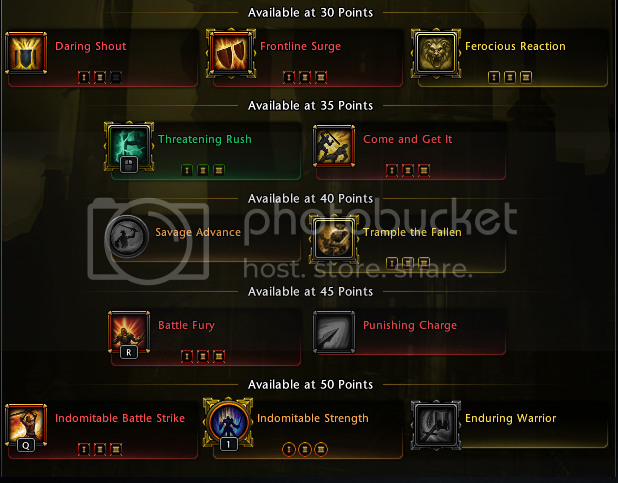 But, starting off I want you to put Dark enchants on some offensive so that you will reach the minimal armor ignored%, after that you will want to focus on more power. 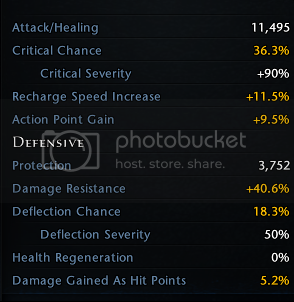 I’ve never put azure on offensive slots, but if you want to, I’d advise getting at least 35% crit. Darks on utility slots for more run speed. The best weapon enchant is the Vorpal enchant! Hands down, other GWF’s may suggest the Lightning enchant, But I personally do not see how it can come close to Vorpal. I’ve grouped with some Lightning GWF’s before and I’ve wiped the floor with their dps. Don’t get it. For your armor enchant, use the soulforge. Don’t bother getting anything more than the lesser one. 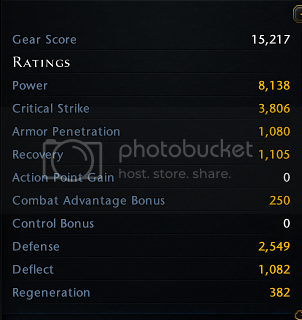 Note****** These gears will not give you the highest Gear Score. But, I say to you that GS is a LIE! Get higher GS to get into end tier dungeons, but once you get what you want, get the gear that benefits your character most! Exception if your guild knows you’re strong with low GS, then just get what’s good for you to begin with. 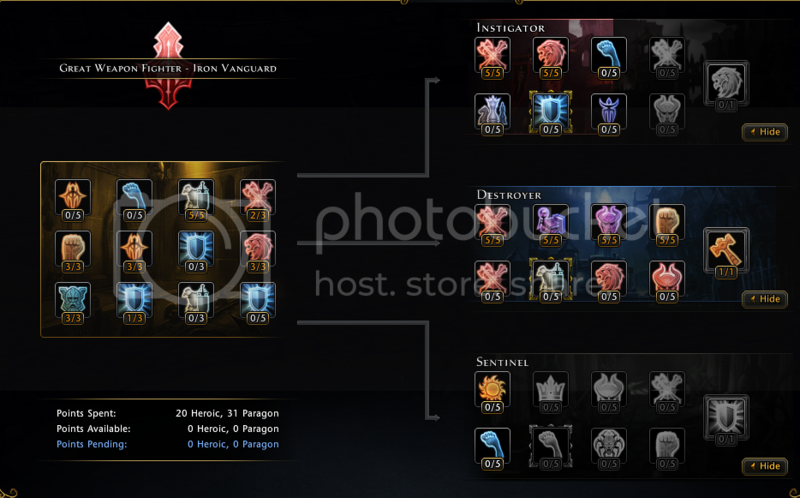 Paragon Choice: I think both choices are debatable to be the same DPS wise. But that is it. I would recommend you to be Iron Vanguard, and as I am an Iron Vanguard, this guide will be based around that. The reason why I recommend IV is because of its versatility. 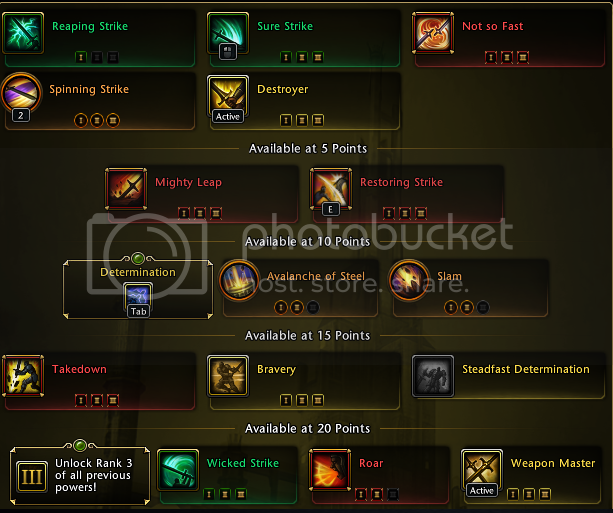 The skillsets given by it allows you to control adds better, survive better imo, kite adds, and close gaps! These things are what Swordmaster paragon lacks. Rotation(s): I don’t have a specific rotation to give you, as I don’t follow or keep track of one. But the powers that I use are Indomitable Battle Strike, Frontline Surge, Not so fast. My at-wills are Sure Strike, and Wicked Strike. Dailies are Spinning Strike,and Indomitable Strength. My feats are Destroyer, and Weapon Master. Just use it accordingly to the situation you’re in. I can’t teach you to have skills and comfortability, I can only give you ideas of what is best. When reviewing this guide, please remember I am still in the process of testing several things. None of this is final. If you wish to add input, suggestions, or requests, all is appreciated! Thank you all for your patience while I continue to update and test for Module 16. Isn’t this just a worse version (copy) of Lady Darhana’s guide but without the extra damage to marked targets? If you get the extra life steals from boons, you can have less def for even more power. This build seems a bit weak on single target. this paragraph is truly a pleasant article, keep iit up.